The Boston Public Schools Desegregation Collection DPLA search widget can be embedded on both WordPress and non-WordPress sites. 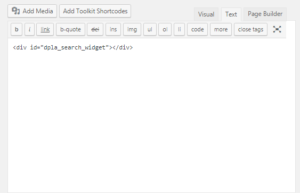 Below are instructions on how to embed the widget in the back end of WordPress and through your own website's code. Visit the admin panel of your WordPress site and “activate” the plugin you uploaded. This is a modified version of DPLA’s original instructions for how to embed their broader search widget on a non-Wordpress site. The instructions below are specifically for the Boston Public Schools Desegregation Collection’s widget.